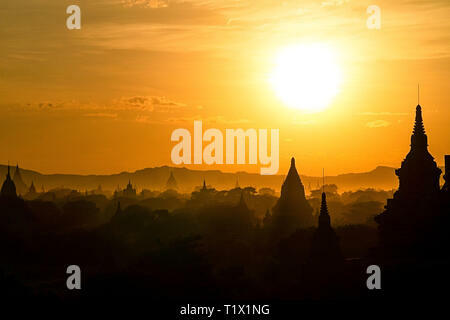 Early morning bright golden sun silhouettes ancient pagodas and temples of Bagan, Myanmar. 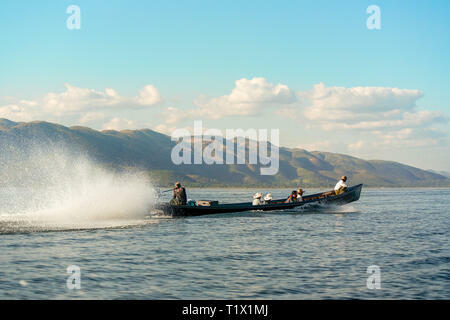 Burmese locals use powerful long boat to cross Inle Lake, Myanmar. 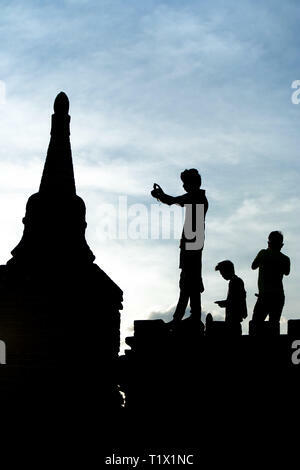 Silhouetted young male tourists photograph pagoda temples at Bagan, Myanmar. 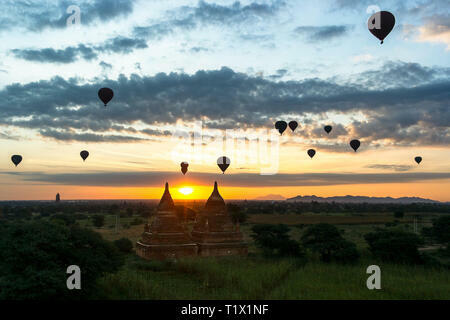 Early morning bright golden sun silhouettes hot air balloons and ancient pagodas and temples of Bagan, Myanmar. 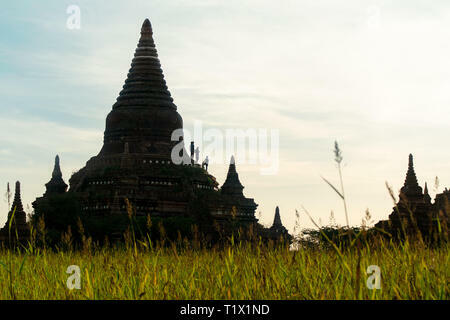 Tourists stand half way up a ancient pagoda temple structure, Began, Myanmar. 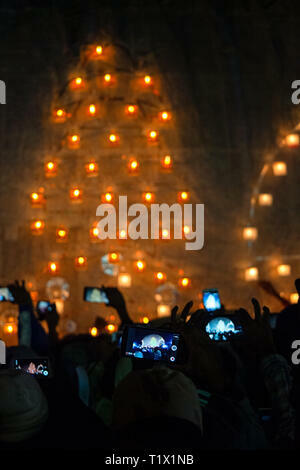 Burmese locals use smartphones to capture moments at the annual Fire Ballon Festival, Taunggyi, Myanamr. 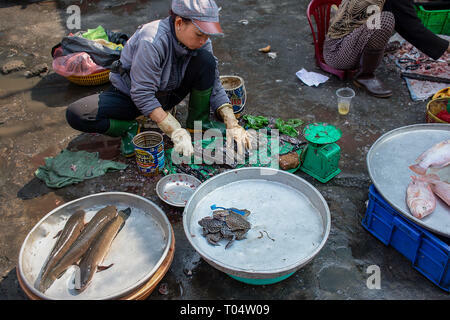 Vietnamese woman prepares live frogs for sale on a concrete floor of a Ho Chi Minh City street market, Vietnam. 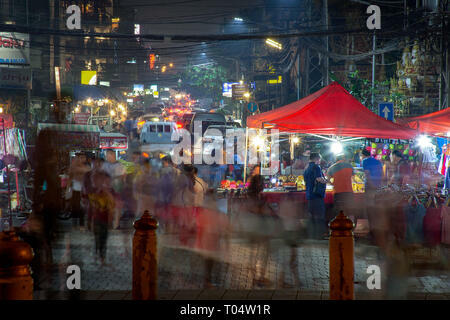 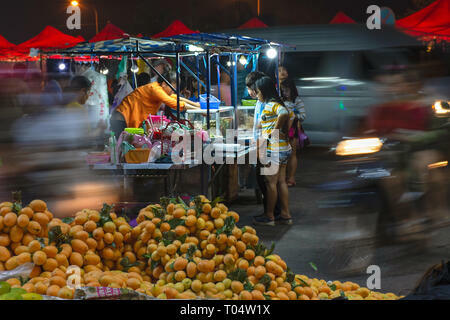 Long exposure motion night time image of a Loas night market. 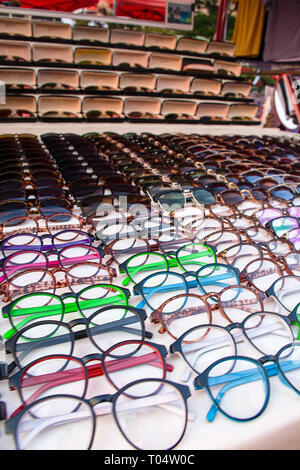 Large selection of eye wear glasses and sunglasses displayed for sale on a market stall. 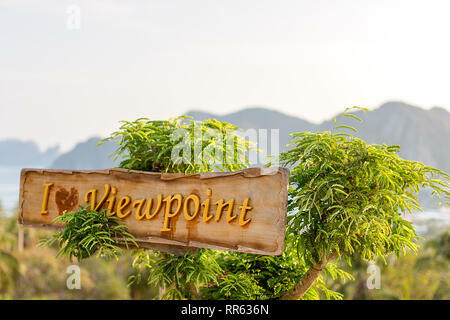 High up panoramic view from the Sky walk view point over looking Penang and George Town, Malaysia. 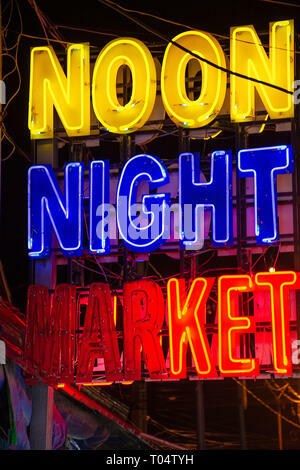 Bight colourful neon sign advertising a popular Noon Night Market in Siem Reap, Cambodia. 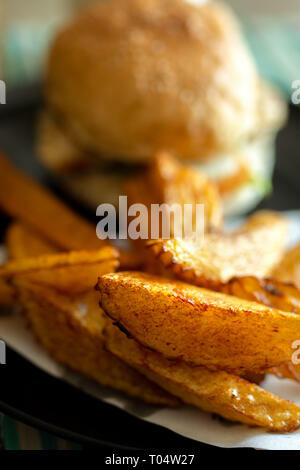 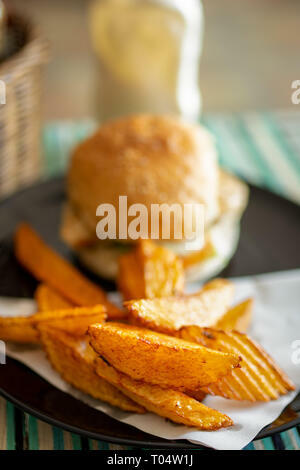 Plate of tasty hand cut fried to perfection chips fries with beef burger in bread bun. 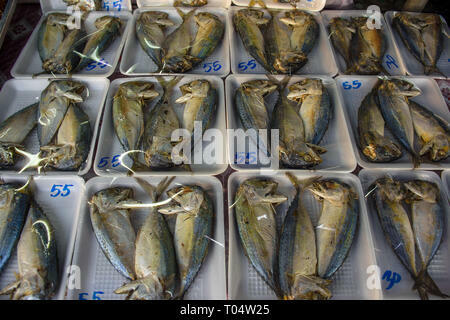 Dried fish packaged and on display for sale on a market stall. 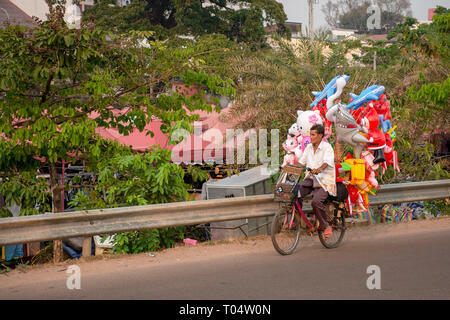 Elderly man transports his inflatable children toys via bicycle, Laos. 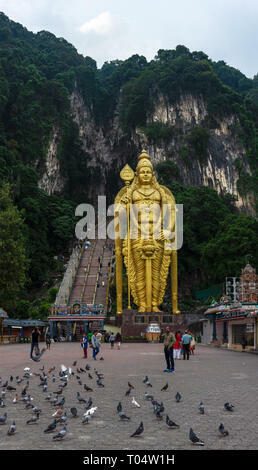 The huge golden Murugan statue stands at the entrance stair way to Batu Caves, Kuala Lumpur, Malaysia. 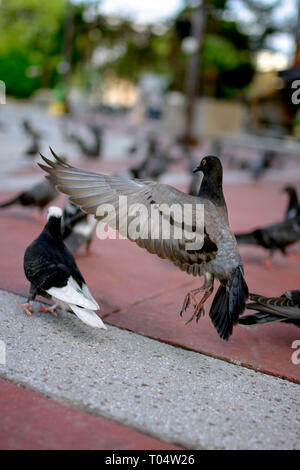 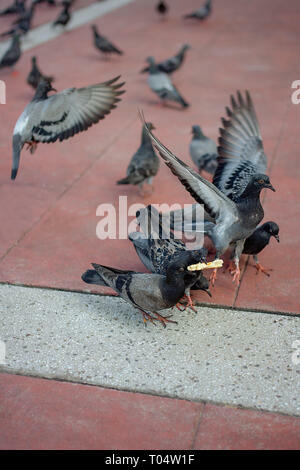 Dirty Pigeons aka Rats of the sky battle for scraps on the pavement. 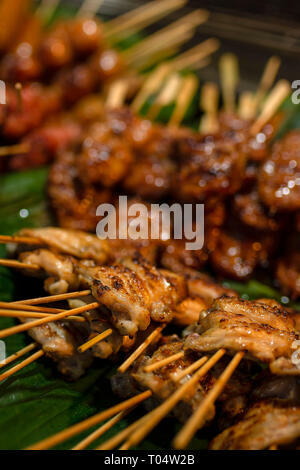 Close up of juicy tasty chicken satay cooked on sticks. 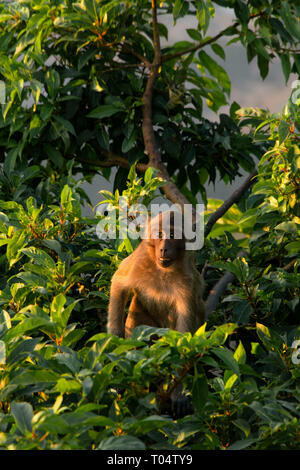 Young macaque monkey looks at the camera from a tree top at golden hour. 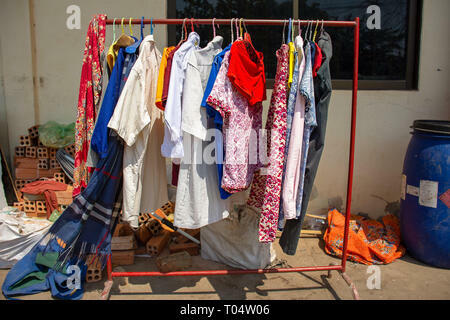 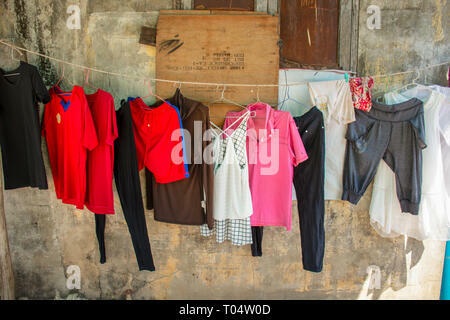 Clothes washing hanging out to dry in a city street setting. 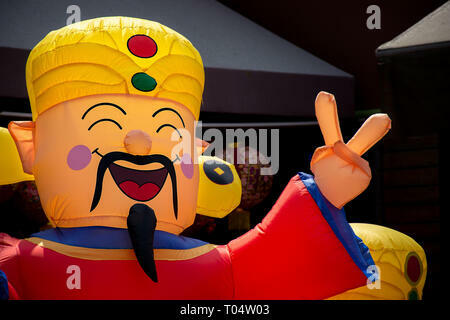 Decorative inflatable Chinese man for sale on the run up to Chinese New Year. 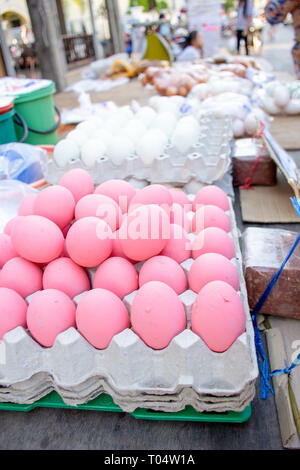 Chicken eggs painted pink for sale on market stall, Phuket, Thailand. 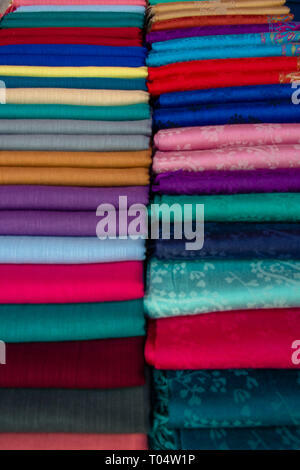 Folded sheets of colourful material lined up on display on a market stall for sale. 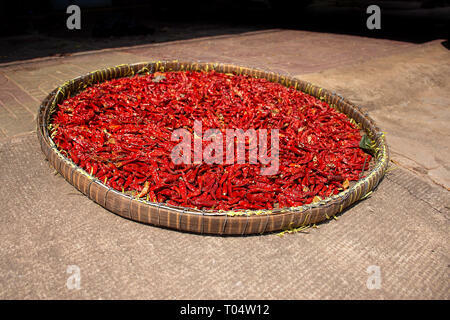 A basket of freshly picked red chillies left out to sun dry. 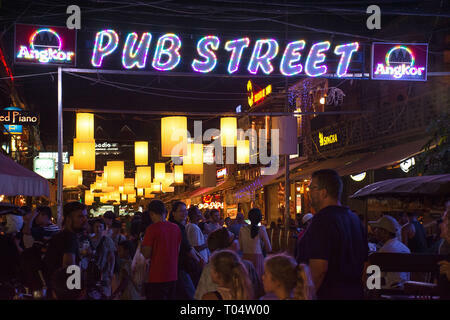 Busy night on the popular tourist Pub Street, Siem Reap, Cambodia. 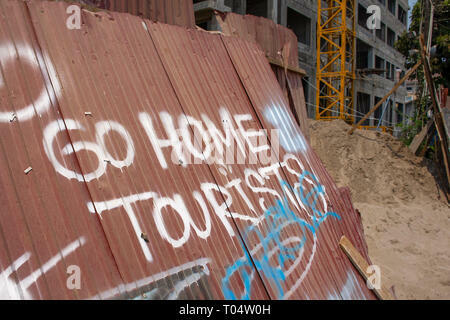 Spray painted sign making tourists feel unwelcome in Vang Vieng, Cambodia. 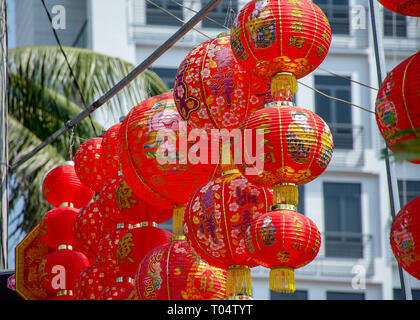 Decorative Red round Chinese lanterns hanging out for sale on the run up to Chinese New Year. 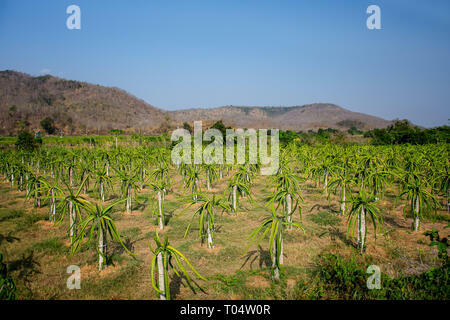 Field of Aloe Vera plants grown for agriculture, Vietnam. 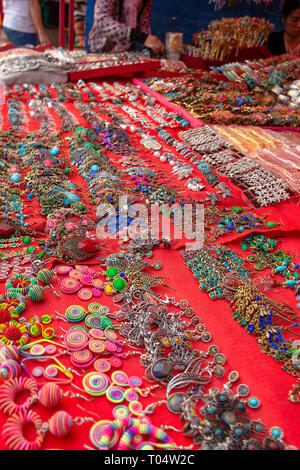 Large selection of a range of style of earrings and jewellery on a market stall for sale. 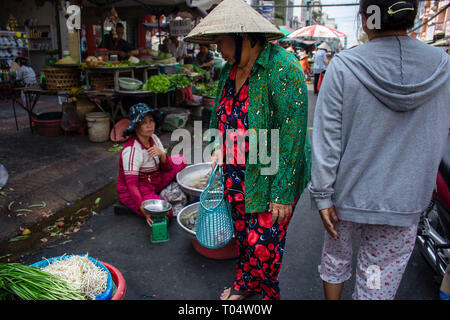 Elderly Asian woman in bright outfit with Chinese hat shopping for vegetables at a street market, Ho Chi Minh City, Vietnam. 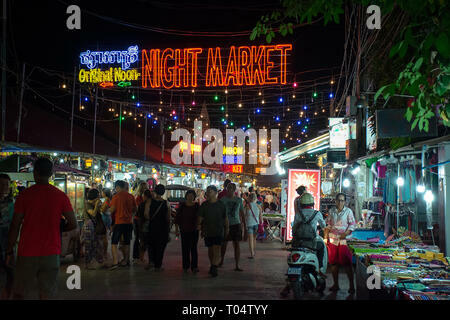 Busy night on the popular tourist Night Market street, with neon sign, Siem Reap, Cambodia. 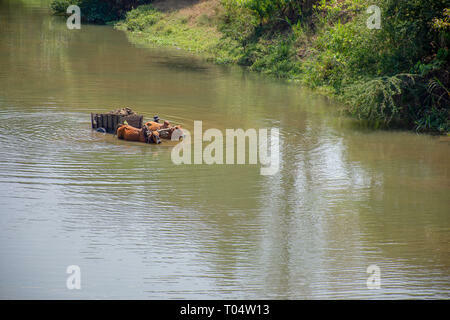 Two Zebu humped cattle pull wooden wheeled cart through a deep river crossing. 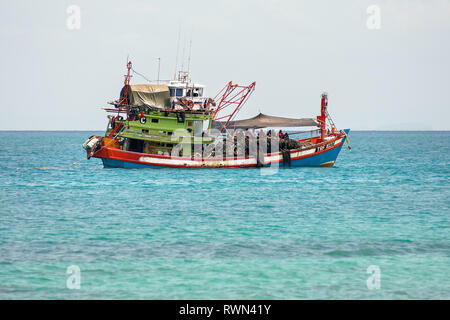 Traditional large scale industrial fishing boat with crew on deck in calm tropical waters. 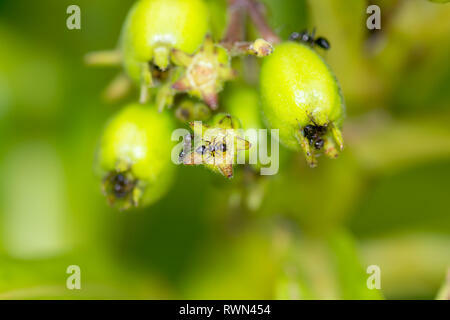 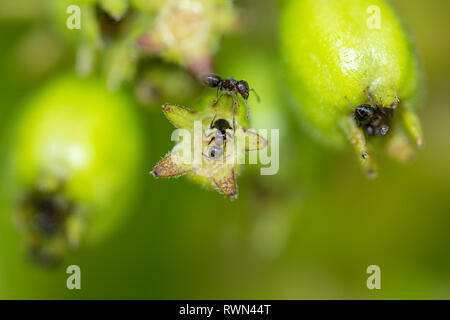 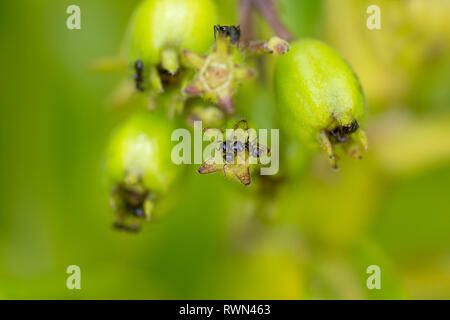 A colony of black worker ants on top of bright green plant buds in macro detail. 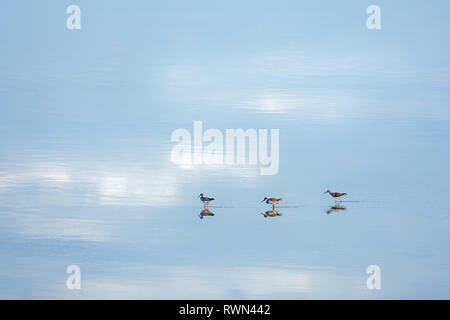 Three spotted sand pipers walk in a row in a still reflective body of water. 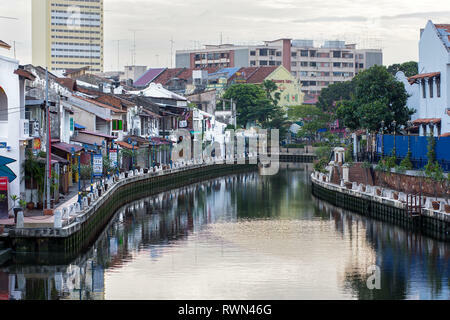 Tourist popular shop fronts and cafes along the Melaka canal, Melaka, Malaysia. 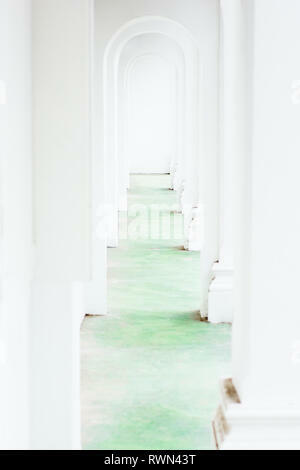 Conceptual view along bright white arched corridor tunnel with green floor. 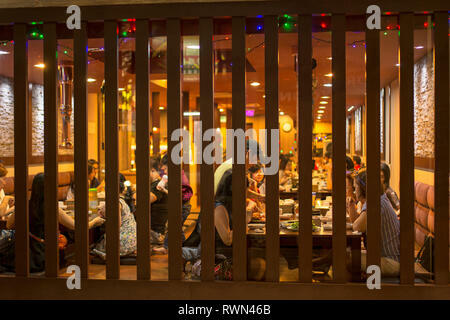 View through slatted window in to an Asian restaurant with dining families. 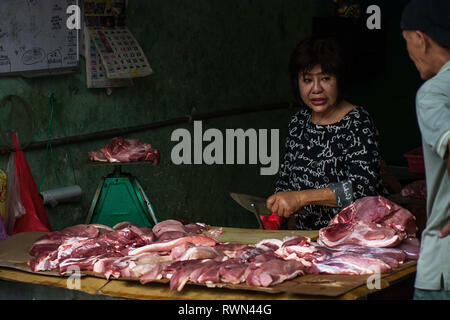 Butcher and customer chatting as raw meat is prepared in an open air low hygiene setting, Melaka, Malaysia. 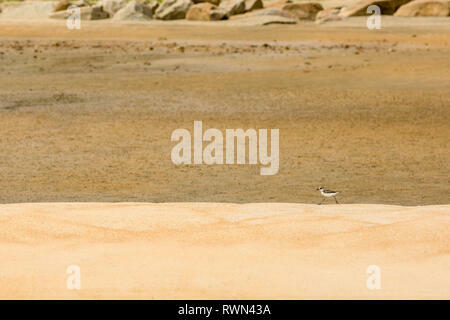 A amerikaanse oeverloper, spotter sand piper runs along a ridge on a golden sand beach, Cherating, Malaysia. 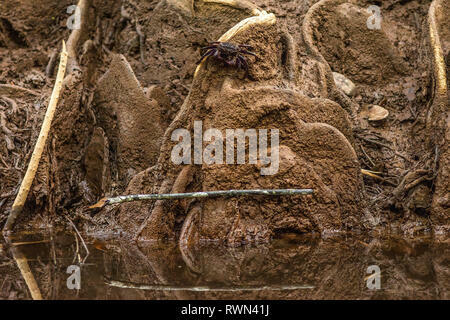 A Aratus pisonii , Mangrove tree crab on muddy tree root mangrove river bank. 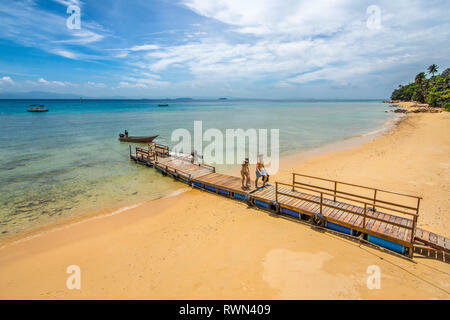 A couple arrive on a golden sand beach of a paradise island along a jetty. 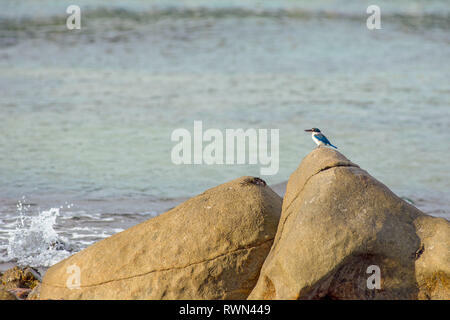 A lone white collar kingfisher perched on a large shore side rock and a sea crab sat a top another rock. 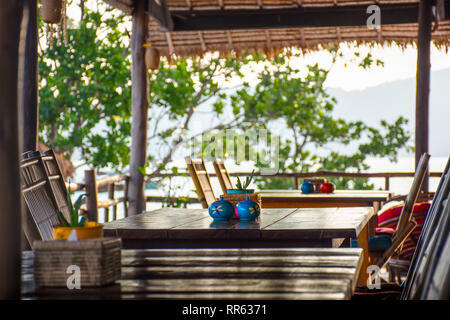 Open sided relaxed basic restaurant on sea side location. 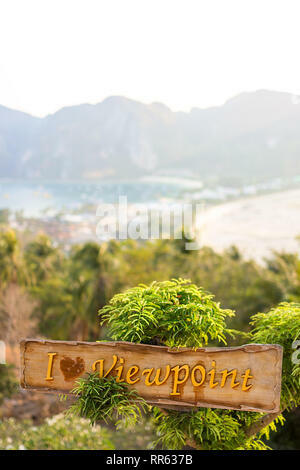 The 'i Heart viewpoint' at the tourist sunset viewpoint on Phi Phi island, south Thailand. 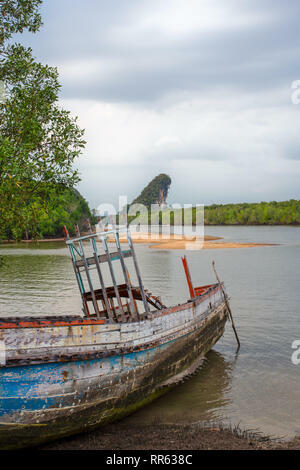 A beached rotting wooden boat in front of the famous Krabi landmarks, Thailand. 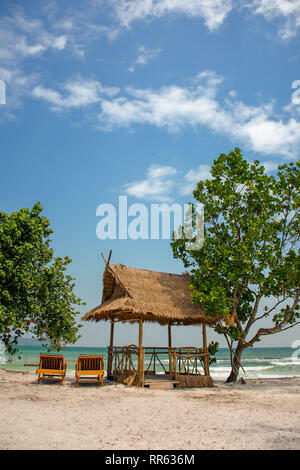 A paradise island beach shade hut and sun loungers on a white sand beach. 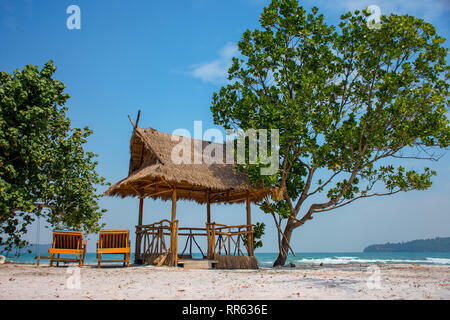 Luxury wood and bamboo constructed beach hut on white sand paradise beach location. 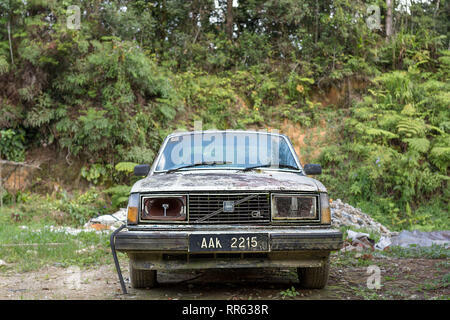 Old abandoned rotting and rusting Swedish Volvo 200 series estate car. 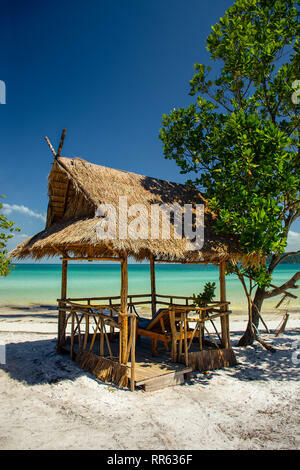 A paradise island beach shade hut and sun loungers on a white sand beach with beautiful turquoise sea. 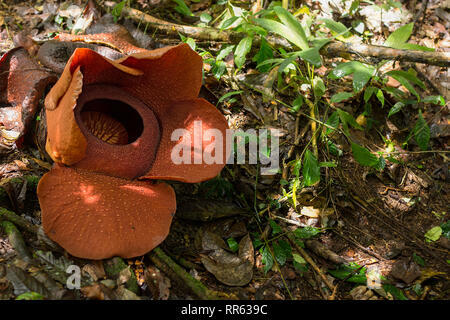 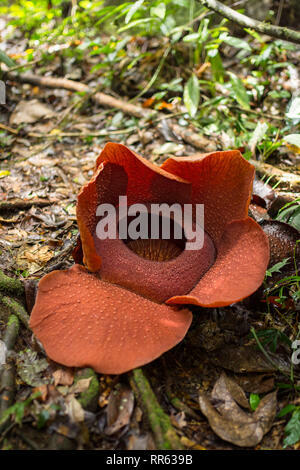 Flowering examples of the Rafflesia arnoldii, the worlds largest flower, found in the rainforest of Malaysia. 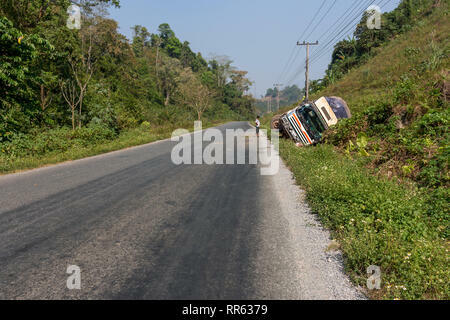 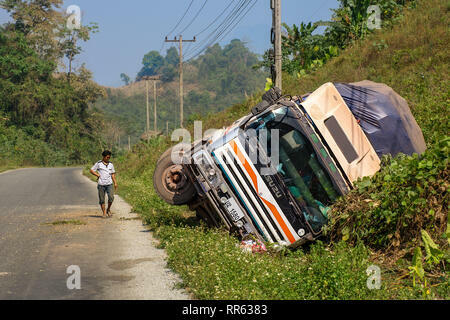 A large rigid goods truck lorry crashed into road side ditch on straight road. 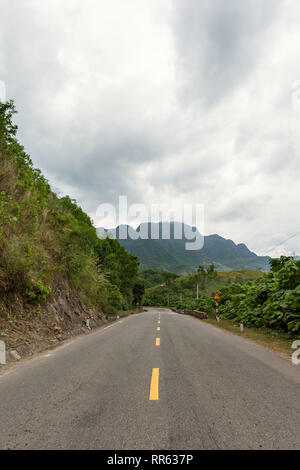 Straight asphalt road with yellow lines leading to bend and green mountains. 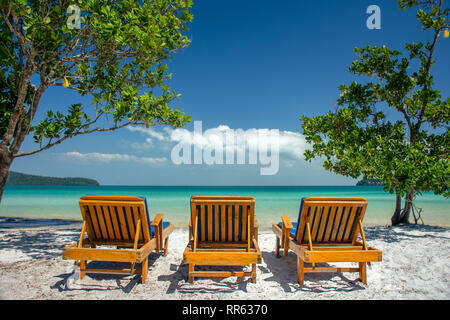 Three luxury wooden sun loungers in a line on a white sand paradise island beach with turquoise sea. 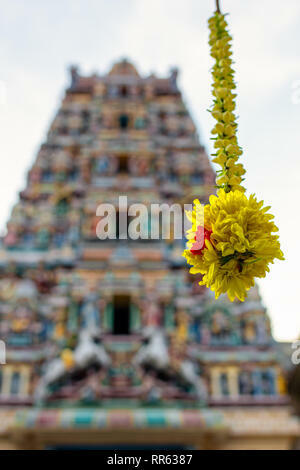 Decorative flower offering of worship in front of the 5 tiers of Sri Mahamariamman Temple, Kuala lumpur. 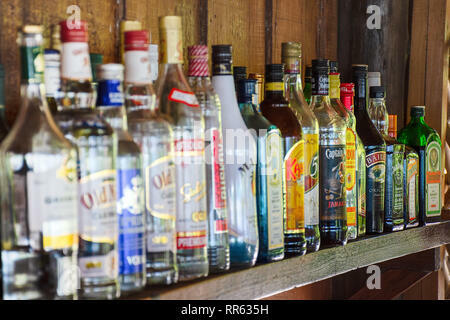 Rows of large selection of bottle spirits on bar shelf. 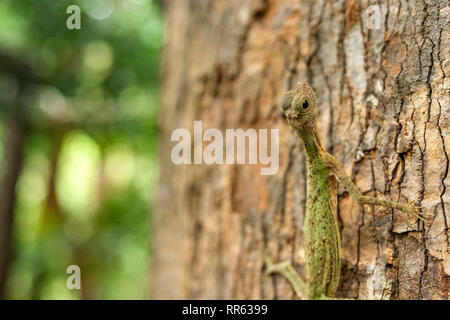 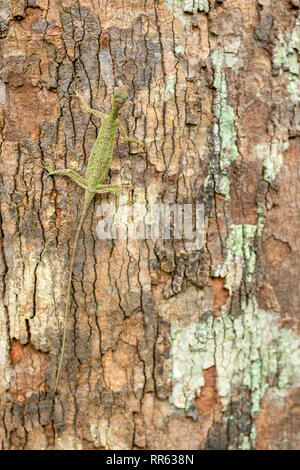 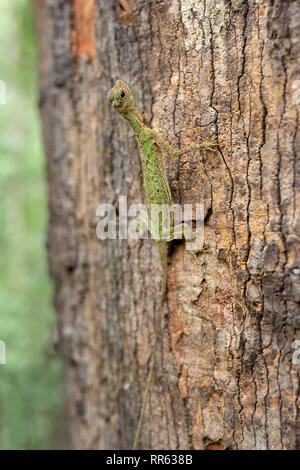 A Draco Lizard aka Flying Dragon ( Draco volans ) clings to the bark of a large tree trunk. 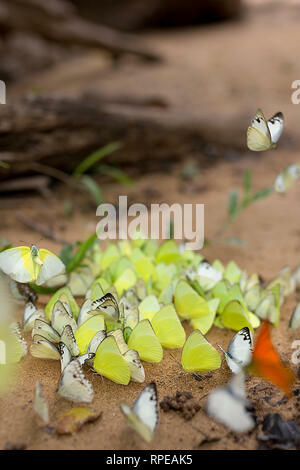 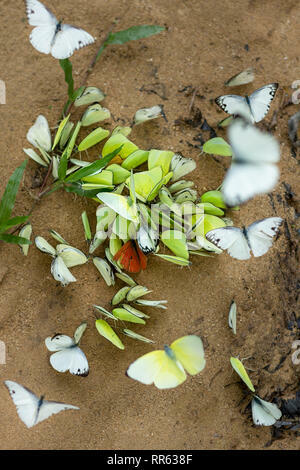 kaleidoscope of common grass yellow butterflies landed on a sandy river beach. 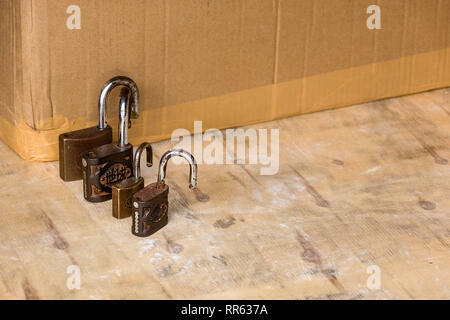 A line of old rusting unlocked padlocks arranged large to small. 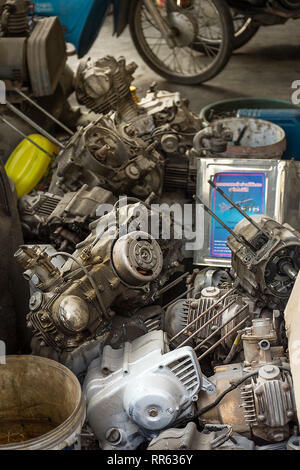 A pile of removed and dismantled motorcycle engines in mechanics workshop. 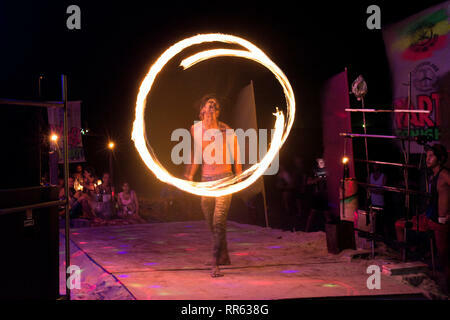 Young thai man makes fire circles as part of a beach side thai fire show. 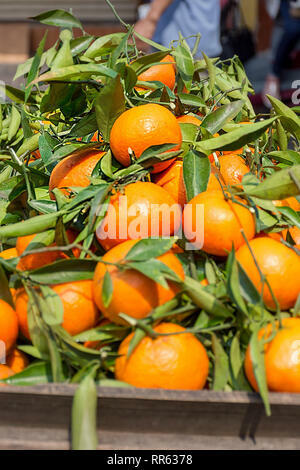 Pile of freshly picked oranges with leaves ready for sale at a market. 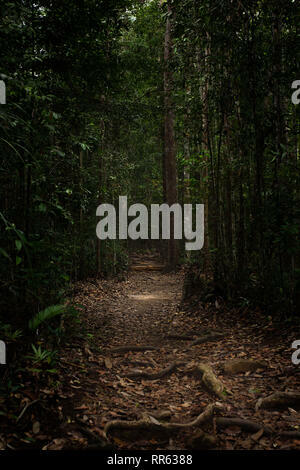 Exposed tree roots along wide well trodden path through a dark dense jungle rainforest. 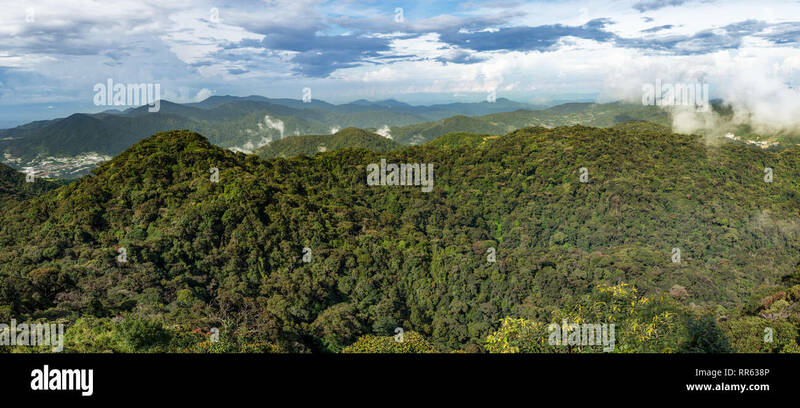 Panorama view trough forest opening of the Taman Nagara national park, Malaysia. 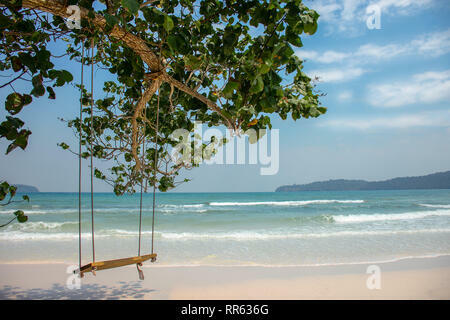 Basic tree hung swing in front of paradise island white sand beach with turquoise sea. 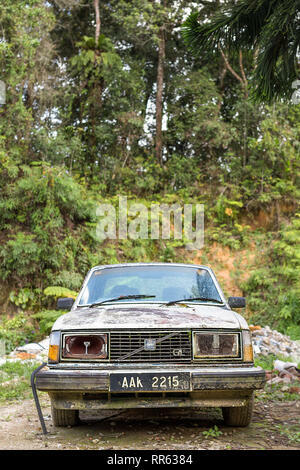 High above panorama view of the Cameron Highlands, Malaysia. 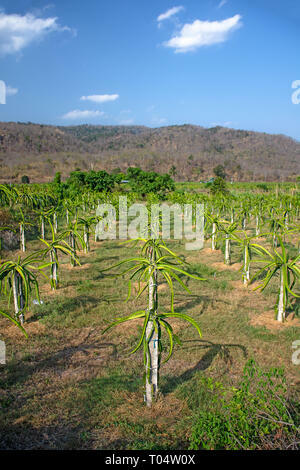 Western tourist back packers enjoy floating and partying in ring tubing, Vang Vieng, Loas. 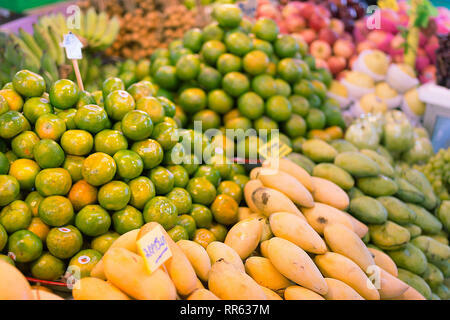 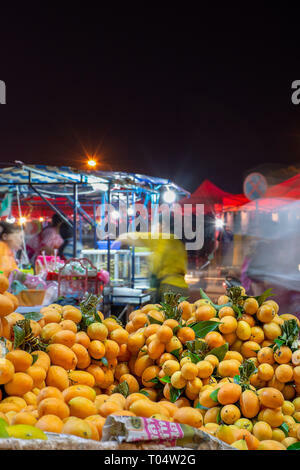 Fresh fruit, green oranges and yellow mangoes piled up on a market stall ready for sale. 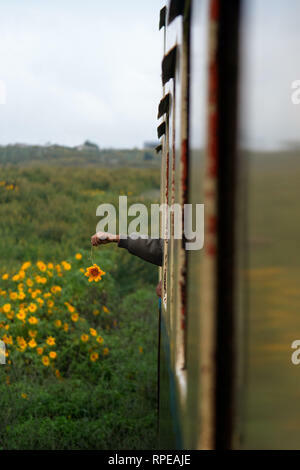 A Childs hand plays with a flower out of a train window. 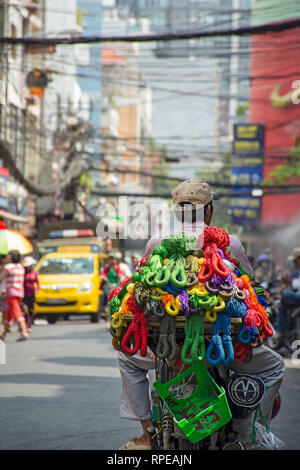 A Vietnamese trader drives along the street looking to sell his colourful products. 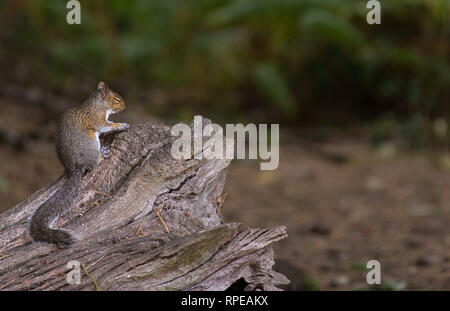 A common grey squirrel feeds and pulls a funny face on an old dead tree trunk in a wood opening. 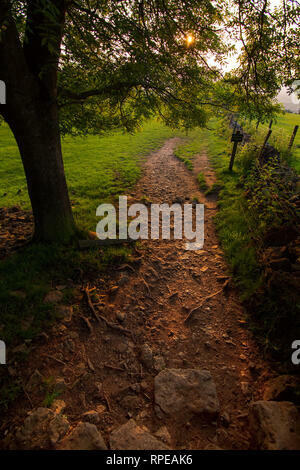 A public countryside footpath passes under a tree along a rocky cotswold path. 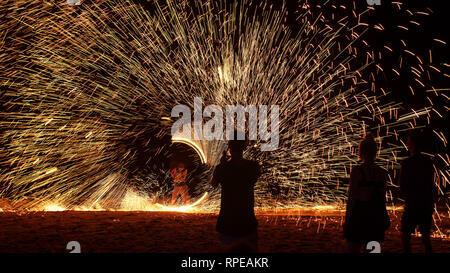 Sparks fly spiralling in an impressive display at a beach fire show, thailand. 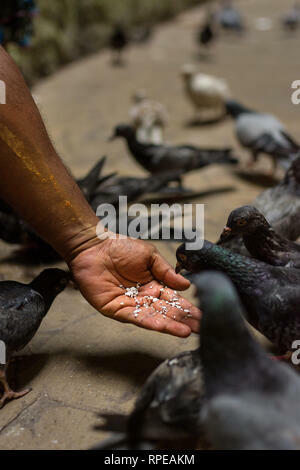 A male hand feeds hungry pigeons. 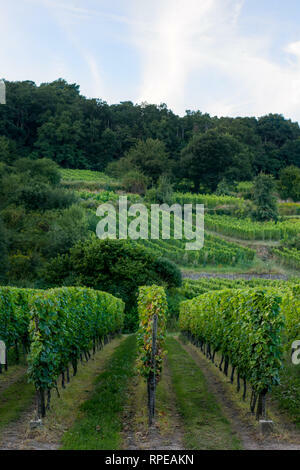 Lines of fresh green growing vines at a hillside vineyard. 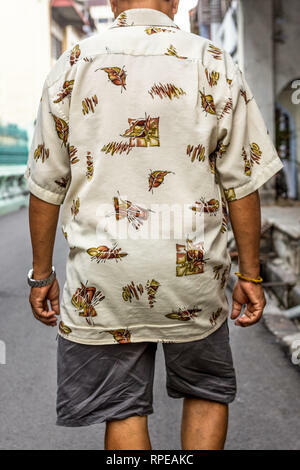 An elderly man in shorts and short sleeve shirt walks away from the camera. 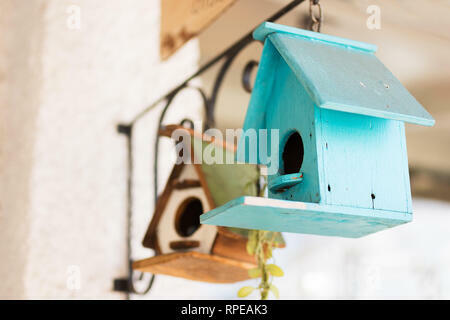 Two home made small bird houses hanging from the side of a house. 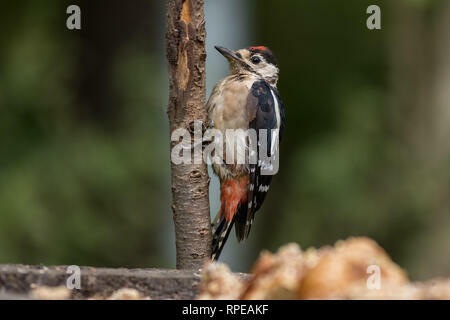 A common Great spotted woodpecker clings to a tree branch. 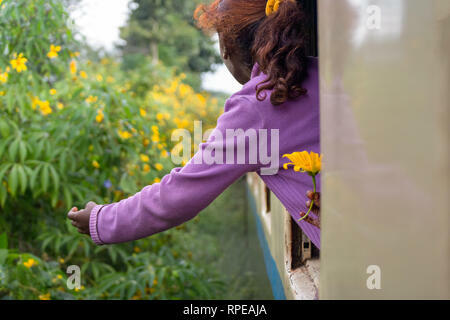 A young girl picks flowers out of the window of a moving train. 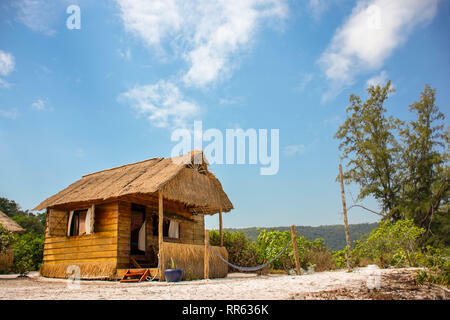 A blonde female in a bikini sits on a wooden boat enjoying a tropical location. 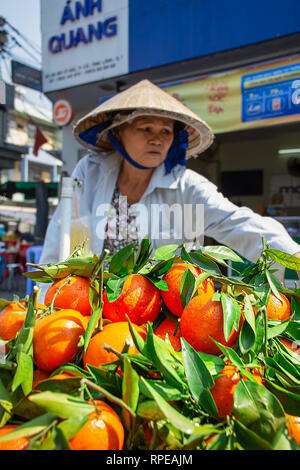 A Vietnamese market stall worker sells fresh oranges in the street. 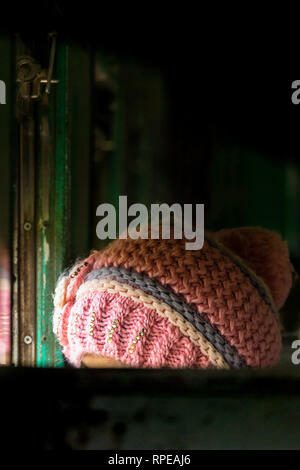 A woman wearing a pink knitted wooly hat looks out the window of a train. 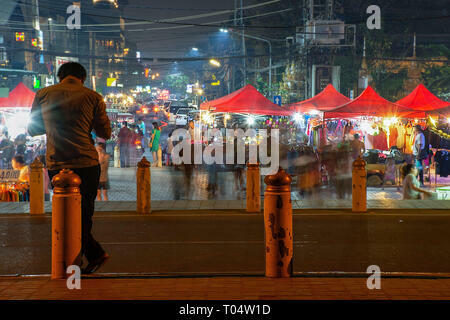 A lone woman with woven hat and backpack walks away from the camera on sunny day. 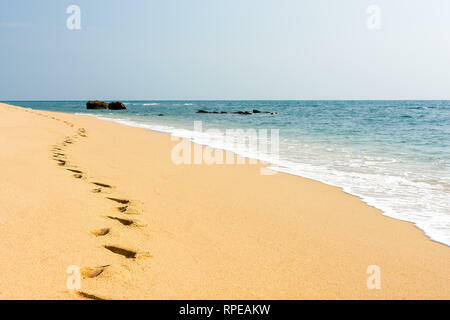 foot prints in a clear golden sand perfect beach next to a calm turquoise sea.